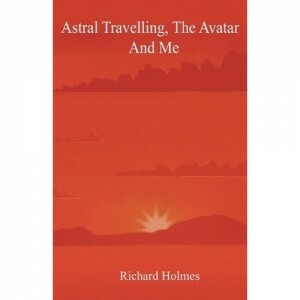 Richard Holmes lives in Tetbury, Gloucestershire. He has worked as a medium for over ten years with over six hundred public demonstrations of clairvoyance under his belt. He runs workshops in various spiritual topics, gives private consultations for guidance along life's pathway and also tutors on a one-to-one basis in meditation and spiritual awareness. 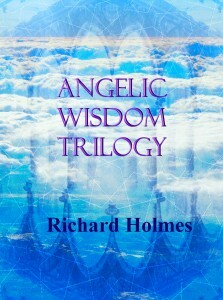 He is a Reiki healer, psychic surgeon, spiritually inspired artist and he gives profound interpretations of dreams. 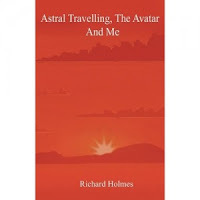 He is also one of thirty hand-picked authors on the innovative reader/writer website loveahappyending.com and is the author of spiritual guidance books Astral Travelling, The Avatar and Me and Angelic Wisdom Trilogy. In his guest post, Richard talks about the spiritualism in his writing and gives an example of why he feels the entire human race is one whole inter-connected family. In 1995 I was in a very dark place; I’d been suffering from depression for years but had no idea. I was also in a dead-end and brain numbingly boring job, working for the Royal Mail in Swindon, Wiltshire. I desperately wanted to break free of my humdrum existence and decided to pursue something completely different and creative. I had always been a big fan of rock and blues music and like many, played a mean ham-fisted guitar. My guitars were my pride and joy and I decided I was going to become a full-time student at New College in Swindon on their BTEC “Popular Music” course. It was a huge decision; it meant giving up full time employment and struggling by on casual jobs, such as washing pots and bar work; but I decided that I really needed the adventure. A while before the course was due to start, the college informed me they were not running the popular music course, but offered me “BTEC Performing Arts” as an alternative. I’m glad I decided to take them up on their offer because in no time at all after the onset of the course, I realised that I was not a very good guitarist after all, in fact I was just short of mediocre. I was 40 years old and attending a sixth form college, and there were kids of 16 playing guitar like Jimi Hendrix. But out of the darkness there came a light. I may have been a rubbish musician, but I found a flair for acting that I didn’t know I had; and little did I know at the time that it would be my experience on stage, both as a member of a theatre company and as a solo performer, that would prepare me for my work as a medium in the future. Anyway, I digress; this story is not meant to be about me, but I did need to paint a picture for you. Around about Christmas time in 1995 two young students at New College (whom I didn’t know) decided they were going to race their cars up Queens Drive in Swindon on their way home. One of them tried to overtake on the inside lane and lost control of his vehicle. He mounted the grass verge and continued onto the pavement. Another young student, walking home, took the full impact of the car and was rammed into a wall. The wall was demolished and the young man departed this Earth there and then. I didn’t know the young man; indeed I only heard about the incident from the other students in my group and ascertained that his name was Mark. Even though I didn’t know Mark, and if he were to stand before me now I would not know that it was him, I was really struck by how deeply his passing affected the kids in my group. Seeing how touched they were, in turn, touched me. So much so that in January 1996 I was prompted from within to write a poem that I simply called ”Mark”. I came into college one day and read the poem out and showed it around. Many were touched by it and news of the poem reached Mark’s parents who, via the grapevine, requested a copy. Back then, computers were very much alien to me and I had written the poem by hand. I was very pleased that news of my work had reached Mark’s parents and even more pleased that they requested a copy; so it was with great joy that I hand-wrote them another. The poem was not a piece of literary genius; in fact it was a very, very simple piece of writing. But its power was in its simplicity. Now to the whole point of this article. It is difficult for many to understand that the entire human race is one whole inter-connected family. Human logic does tend to equate with the physical form and the boundaries and limitations imposed by our much tormented minds. But to me this incident proves that time, space and physical presence are of no consequence to the Divine Spirit that is our deepest and highest truth. I never knew Mark at all, but I was touched deeply within my heart; his parents never knew me (and still don’t) but they were touched deeply in their hearts. It wasn’t our physical forms that had an impact on our respective lives; it was our very souls reaching out to each other across time and space. Amazing story Richard and a wonderful interview Janice. Richard is an amazing man and never fails to surprise me! Every time I read something about Richard, it's like a game of pass the parcel - so many layers, each with a pleasant surprise. Where will the music stop next?! How comforting that poem must have been for Mark's parents. It's a good feeling when you know your writing has reached out and touched someone in a positive way. It's a great honour for me to be a guest on Janice's blog. I'm grateful for having the opportunity and appreciate everyone's comments. What an interesting story. It's fascinating to get to know my fellow LAHE authors better. Wow, what an amazing story! Thanks, Richard! Fascinating story! Thanks so much for sharing it!